I saw this quote on tinybuddha.com. It made me think of some tiny moments that I enjoyed this past weekend. I got to spend time with my family at Christian’s last soccer game of the season. 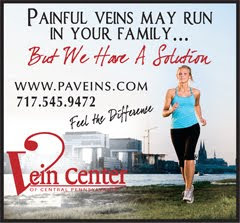 The team was generously sponsored by the Vein Center which provided the awesome trophies for the kids. That evening, we had an impromptu PSU party with some incredible friends. Sunday morning was blessed with a mountain bike ride with my pup, proto. The crunchy leaves covered all the rocks, in turn making for a bumpier ride than I was expecting. The crisp air left me refreshed for a lunch date with my girls. I cherish the times I get to spend with my friends. It happens a lot less then what it should. The weekend rounded out with a nice evening at home with the husband, kids, and a gigantic spider in our living room. Eeeek. What are some of your favorite moments? So, I did it. 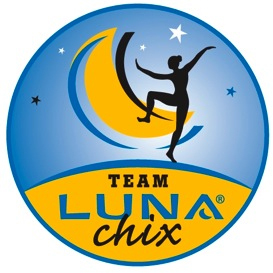 I took the first step and applied to the LUNA Chix team. I am very excited about this along with some other ladies I know. If you'd to join in on the excitement, let me know. Even if LUNA does not choose our area to start a team, you can still hit me up for a ride. The Village is a great place to meet, ride and have a beer. If you are a woman who is slightly interested in mountain biking or one who LOVES the sport, WOMEN ❤ MTB is for you! It is a place where I will list tips, tricks and tracks. It's a place where I hope you grow as a mtbr along side the growth of WOMEN ❤ MTB. I look forward to sharing stories of your trails, wisdom and inspiration with each other through WOMEN ❤ MTB! I recently read an article on tinybuddha.com regarding something that we need to overcome on almost a daily basis. 1. Get to the root. 3. Complete the “I’ll feel better when I …” sentence. 6. Change the story in your head. 9. Use the silly voice technique. Great suggestions on how to readjust your mood. However, the weekend we just had was also a remedy for a bad mood. Getting outdoors, and more importantly getting exercise are both a way to overcome a bad mood. It was a beautiful weekend to breathe in some fresh crisp air, view the fleeting foliage, and laugh with the company of good friends. We had an early trek through the woods. Proto was a happy little pup taking an early morning swim and diving for rocks. If it was a little colder, his fur would have formed icicles. My husband had a great day of mountain biking which came in three parts. First, a father and son ride which usually has a little battle up the hills but ends with a proud father and a stoked son. Next an adventure with a friend and then a solo mission through the mountains of Michaux. Later he made a comment about needing to remember days like today when things aren't going so well. All in all, if life is throwing you some negative vibes, take those vibes and turn them around. 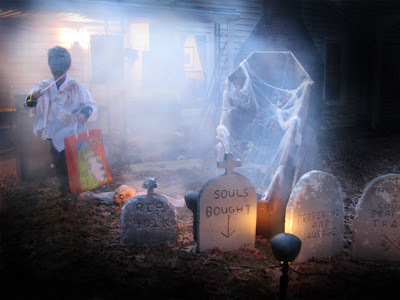 The village was alive with ghosts and goblins lurking around for Trick-Or-Treat this past Monday. It was a fun and festive time with friends ushering our kids from door to door. But it wouldn’t be Halloween without the chaos and rushing around beforehand. I even left work a little early to try and tackle the task of getting things ready without the rush. As we gobbled down some pizza, I unpacked the mess of costumes from the kids’ book bags. Okay, Kirra’s Princess stuff… check. Christian’s Mad Scientist gear… uncheck. Christian looked shocked and upset that his costume was not in his book bag since he swears he put it there. My son is a really smart and sweet boy but he would lose his hair if it wasn’t attached. Luckily I spiked his hair for their school Halloween party using moose, hair gel, wax stuff and hair spray. He definitely was not losing his hair today, or maybe he would with that much product in it. Next set in Christian's biggest scare of the evening-- not being able to go Trick-or-Treating. After drying some tears and reassuring that he could go, we moved onto plan B. Call Fuzzy Papa for another Dr.’s Jacket and scrub shirt to create the Mad Scientist look again. But could we really wait for him to show up? Sound the horn - Dad to the rescue. With some swift snips of the scissor, face paint and fake blood, Christian was the happiest Zombie on the block complete with a bloody sword. I’m pretty pleased that this year imagination was used to make not one but two costumes for Christian rather than relying on something store bought. So Trick-or-Treat was a successful night of pulling the princess around on her thrown and a Zombie hungry for candy instead of people. Happy Halloween!